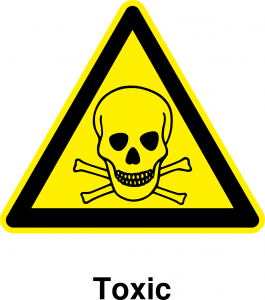 Aluminum phosphide is a dangerous toxic chemical that is used to kill insects, mole and rodents. Toxic Phosphine gas is produced when aluminum phosphide is mixed with water or moisture. Although aluminum phosphide is used to kill mice, prairie dogs and gophers, it has been used for suicide and homicide in people. It is also used in grain stores. So it has been known as “rice tablet” in Iran for its use to preserve rice. In the recent fatal incident in Texas, investigators concluded that the residents had used a pesticide containing aluminum phosphide under their home. At some point, a family member washed the chemical with water. The combination of water and aluminum phosphide created phosphine, a colorless and odorless gas that can cause fluid to accumulate in the lungs, cardiac arrest and death. So unfortunately four children of the family were poisoned and died. If you use any chemicals contain aluminum phosphide to kill rats, insects or bedbugs, make sure it is not in contact with water or moisture and do not keep it in high humidity places. If you have used any toxic chemical compound in your house and you want to check your house for them, contact us at 310-971-6723. Healthy Indoor Professionals can check your house for phosphine or other toxic chemical gases and toxic pesticides.